This month we are pleased to introduce our latest product the WaterTechw² TMP Sensor. The WaterTechw² TMP Temperature Sensor is a precision device which offers breakthrough performance over a wide industrial temperature range and is compatible with the 7300w² Monitor. 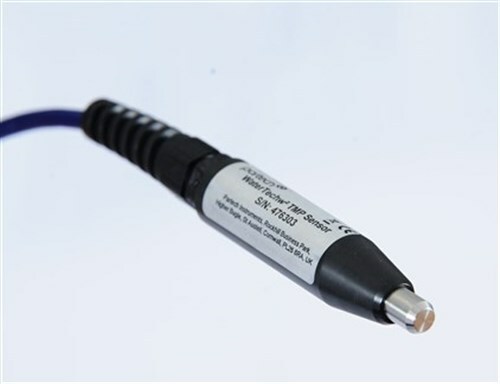 Designed for use between -10 °C and +80°C with a measurement accuracy of +/-0.3 °C. The clever internal temperature sensor has a high accuracy and linearity over the entire rated temperature range. The sensor has been factory calibrated meaning there is no need for correction or calibration by the user. A further benefit is that the sensor requires very little maintenance and no special tools or training are required – installation is quick and simple too! The detector within the TMP sensor consists of a metal heat conducting cylinder containing, an internal band gap reference, a temperature sensor and a 16-bit analog-to-digital converter. 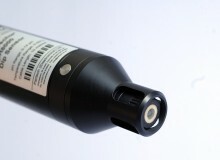 The result is a robust, accurate, easy to use and stable ultra low temperature drift measurement. 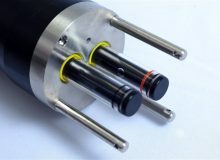 Temperature measurement in waste water applications provides an important supplement to measurements such as pH, Dissolved Oxygen, Suspended Solids and Turbidity. In Activated Sludge, temperature can be related to the ability of the biological treatment system to cope with varying loads. In Final Effluent many discharge consents are waived when the temperature reaches a low level of around 4°C and by using a verifiable temperature measurement device such as the WaterTechw² TMP the operator can avoid issues with regulators.